If you want to ski with Father Christmas, you’d struggle to find more Santa’s on the slopes than in the Canadian resorts. It’s no surprise that our favourite festive fellow chooses Canada for his Christmas ski break – the conditions are incredible, the atmosphere’s buzzing and the big resorts have always made Christmas as festive and fun as possible without compromising style or luxury- they’ve never let us down yet. You don’t tend to get catered chalets in the North American ski resorts, so to call accommodation in North America a chalet would usually be misleading. Properties here don’t really offer the catered chalet experience you’d get in France, Switzerland or Austria, where breakfast, afternoon tea and dinner with free wine are usually included in the cost of the holiday. This doesn’t mean that you won’t be able to enjoy a traditional mountain stay in cosy accommodation. Check out our lovely wood-clad lodges complete with a toasty fireplace where you can really relax after a day on Canada’s legendary slopes. 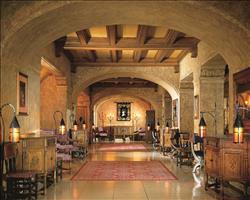 Most accommodation you’ll find is hotels, with many offering room only or B&B. We have some fantastic properties throughout the Canadian resorts, including the luxury Fairmont hotels in Banff, Mont Tremblant, Lake Louise, Whistler and Jasper. Most hotels have their own restaurants so you can dine in the same place you’re staying; just as convenient as in a catered chalet. Other accommodation comes in the form of a condo or lodge (what’s known as a self-catering apartment in the European resorts, but usually more spacious with more facilities). Most of these are cosy, comfortable and spacious which are big attractions when looking for chalets in the first place – so you can spend quality time on Christmas week with friends and family, eating and drinking however, whenever and whatever suits you. 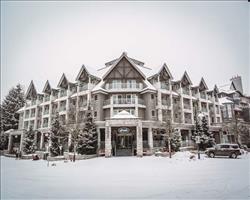 Properties like the Rocky Mountain Resort Condos in Banff and the Westin Resort and Spa in Mont Tremblant are connected to hotels and offer a self-catering stay with hotel facilities, which can make the prospect of self catering even more attractive. Hotels cover most of the accommodation here – and a quick look at what’s available is likely to have your Christmas sorted pretty swiftly. Most properties are 4 or 5 star and have the facilities you’d expect of such highly rated properties in world class resorts (think swimming pools, spas, gyms and more). Some hotels pull out all stops to make Christmas as festive and fun as possible – children are kept happy with crafts making things like gingerbread houses, crackers and tree decorations (which you can put on your own tree in some hotels); stomachs are kept happy with special meals on Christmas Eve and the day itself (these usually need to be booked in advance with the hotel) and even Scrooge would be happy with festive events like carol singing, sleigh rides, ice skating and a visit from Santa. 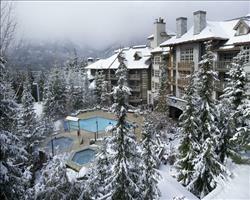 It doesn’t get more luxurious than the Four Seasons Resort in Whistler – one of the most acclaimed hotels in western Canada. If you’re more concerned with skiing the best snow around, stay in the Sunshine Mountain Lodge – it’s right at the top of the Sunshine Mountain gondola with a ski area connected to Banff. 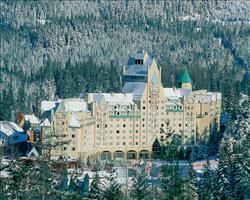 Maximise slope time in a ski in / ski out hotel – there are lots in Mont Tremblant including the Marriott Residence Inn. 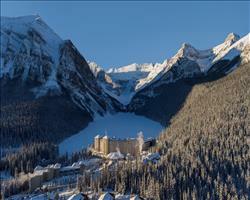 Families are excellently looked after in the Fairmont Chateau, which is famously positioned on the lake in stunning Lake Louise. 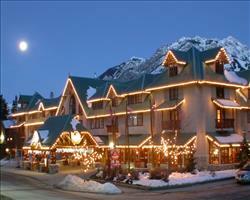 Groups might want to check out proper town Fernie’s Park Place Lodge. It’s right in the town centre connected to the popular watering hole The Pub Bar & Grill as well as having various other bars, restaurants and shops nearby. 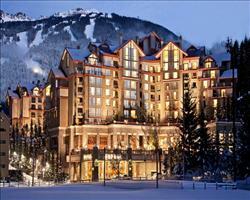 Self catering is a popular way to ski Canada and allows Christmas to pan out just as you want it. Most of our self catering condos, suites and lodges offer a more spacious, higher-end setting than you’ll find in European apartments. Many are also connected to hotels- have your own home-from-home whilst also enjoying the facilities like pools, spas, bars and restaurants. Self catering is often a more attractive way to take advantage of these facilities compared to a hotel stay - enjoy the home comforts afforded by your own lounge (where you can open the stockings in your own space and time) and kitchen (in case you fancy knocking up a midnight feast on Christmas eve). As most hotels are room only, you won’t even end up with much more work to do. Staying near a restaurant can make the week really easy, especially if you want a hassle free Christmas (eating out in the Canadian resorts tends to be cheaper compared to France and Switzerland). 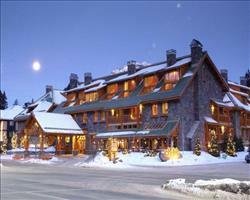 To ski somewhere with incredible snow, check out the Inns of Banff (ski around Sunshine Village for the best conditions). 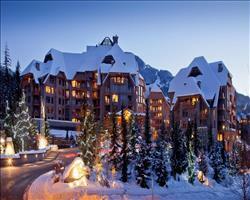 Panorama’s Upper Village Condos are ski in / ski out, which makes a week on the snow really easy. 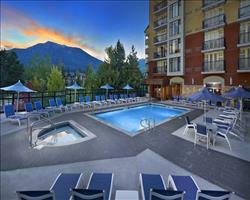 For an upmarket Christmas, the Delta Whistler Village Suites are some of the most sought after self-catering properties in Whistler for their hotel standard facilities. Groups will love the Lizard Creek Condos in Fernie – they can sleep up to 8, and you can ski in / ski out from the locker room which is only a few steps from the Elk chair lift. For families, Kimberley’s Trickle Creek Lodge is a fantastic ski in / ski out property right in front of the slopes with the ski school meeting point and chair lift just seconds away.